Bentley’s Continental GT is a super-luxurious grand tourer with a sporting edge, a car that was the first model to be built following the sale of the British company to Volkswagen in 1998. It was significantly updated in 2011, in what Bentley refers to as the ‘second-generation Continental’, but, the 2011-2018 version shared almost everything with the 2003-2011 original. However, with an all-new Bentley Continental launched in 2018, it’s the ‘Mk2’ we’re looking at here. A four-seater – or, more accurately, a very large 2+2 – the original ‘VW-era’ Continental used a 6.0-litre W12 biturbo petrol engine, in a variety of guises, throughout its life, as well as four-wheel drive. 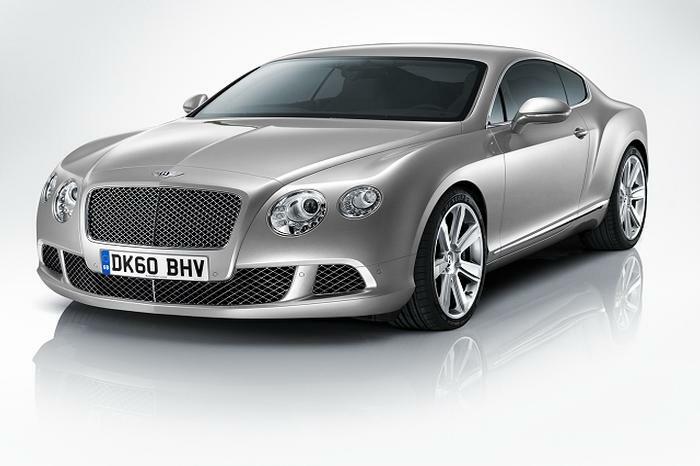 Thus, the 2011 edition kicked off with the same drivetrain layout, where the Continental GT W12 delivered 575hp. A year later, for the first time a modern Continental had an engine with less than 12 cylinders, as a 4.0-litre, twin-turbo V8 motor with 500hp was introduced in the Continental V8 – this powerplant was later evolved (2014) into a 528hp iteration, which was given sharper chassis settings and a louder exhaust for the sportier V8 S model. Similarly, the W12 engine also gained a faster variant, the aptly-named Continental GT Speed, which produced 625hp and the ability to go beyond 320km/h; with a midlife model facelift in 2015, the GT Speed’s power increased to 635hp. In 2014, just 300 units of the GT3-R were built for the entire world, this Continental being based upon the V8 S model with a power hike to 580hp and various weight-saving/aerodynamic features aimed at making it the sharpest Continental to drive yet. And finally, in 2017, a 710hp Supersports was launched, that power coming from the ultimate evolution of the W12 6.0-litre engine. From 2012, almost all of the aforementioned models (with the exception of the GT3-R and Supersports) were – alongside the GT coupes – available in soft-top guise, the convertible examples known as the Continental GTC. All models of second-gen Continental were equipped with an eight-speed ZF automatic gearbox with paddle shifts on the steering column and all, like the original, were equipped with four-wheel drive. The W12 will be the most numerous used version, but the one to seek out is the V8 S Coupe, because it makes a terrific racket under hard acceleration and it feels almost every bit as quick, grand and rewarding as the 6.0-litre model. It’s also best to stick with the hard-topped body if you go for the V8 S, because – while the GTC is the more desirable shape – the handling of the V8 S is so good that you need to give it the stiffer shell of the Coupe to get the best experience. As a sporting GT, rather than a top-end sports car trying to be a cross-continental cruiser, the 2011-2018 Bentley Continental GT is a remarkable success story. It’s one of the best-selling exotic cars in the world, finding favour in a wide variety of markets thanks to its appealing blend of premium hand-built quality, all-wheel-drive security and incredibly potent drivetrains. It’s not the lightest nor most delicate car in the world and – understandably – for a niche, luxury brand, the Continental is neither cheap to buy nor run as a used proposition. But, if you can find a good one for the right money, you’ll enjoy an exalted ownership experience that is both impossible to replicate with mainstream metal and also entirely befitting of a marque as revered as Bentley.